Bang Tango is an American hard rock band. The band was formed in 1988 in Los Angeles, California and was signed to MCA Records the same year. Initially the band was founded by guitarist Mark Knight and bassist Kyle Kyle in 1988. 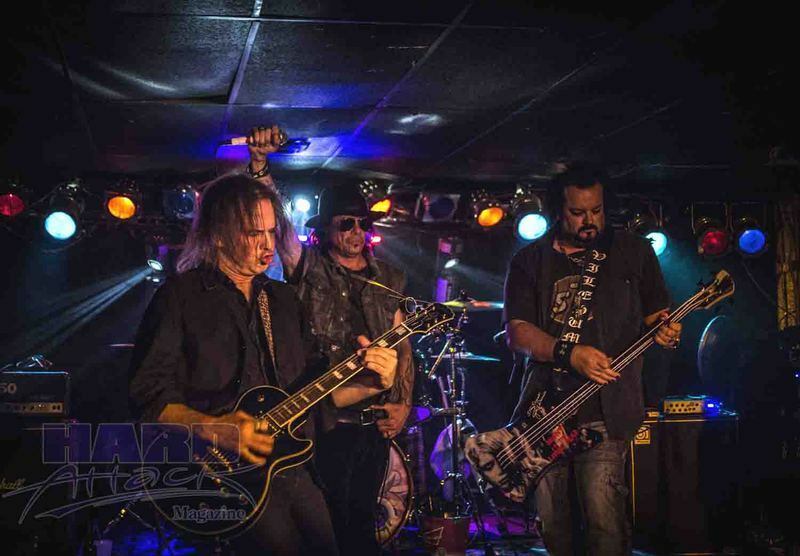 Knight wanted a second guitarist and recruited Kyle Stevens. At the suggestion of Rough Cutt's Amir Derakh, vocalist Joe Leste' joined the band as its frontman which led to Leste's childhood friend, Tigg Ketler, completing the 5 piece line up as Bang Tango's drummer.The band then began to play shows and would gain a following on the sunset strip scene in Hollywood, packing all the popular clubs and venues at the time, which led to a bidding war with many major labels. 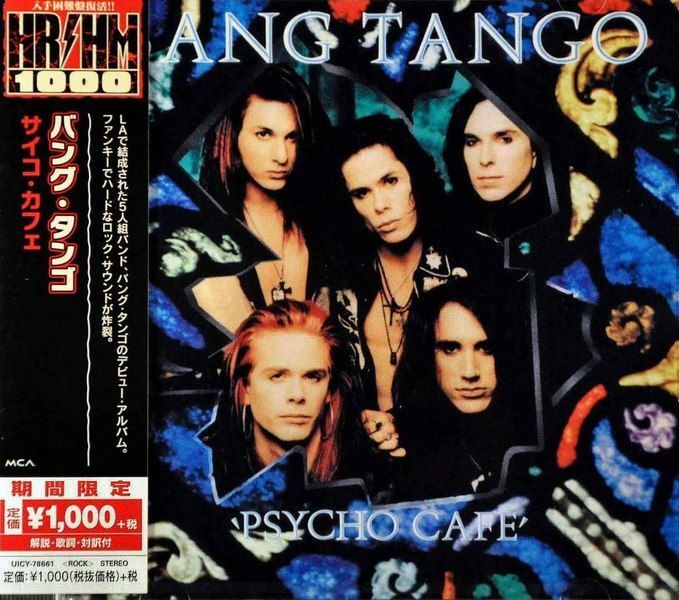 Bang Tango were then signed to MCA Records.Their initial release, a live EP titled Live Injection came out in early 1989 leading up to the release of their Howard Benson produced full length debut Psycho Cafe' which topped off at number 58 on the Billboard top 200 chart. The music video for the single Someone Like You was a popular staple on early 90's MTV programming such as Dial MTV and Headbanger's Ball. 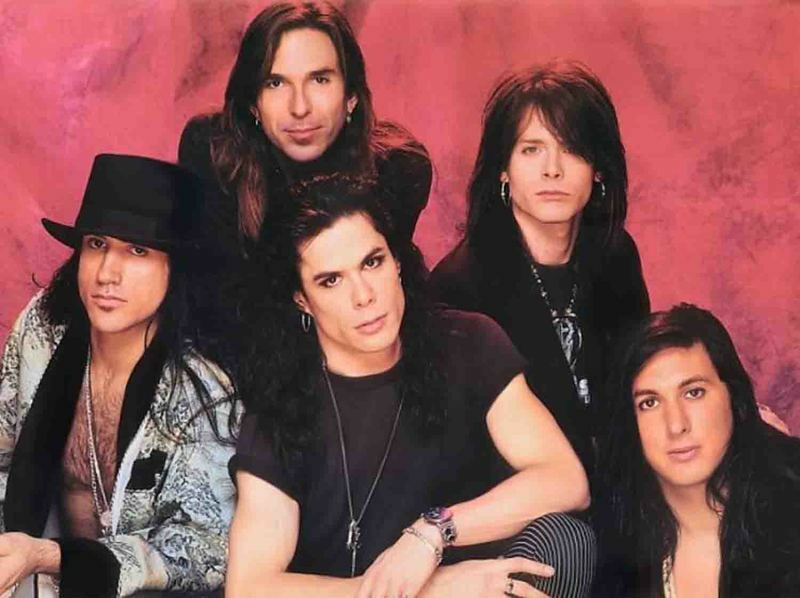 A video was also made for the single Breaking Up a Heart of Stone The band would tour extensively during this period with the likes of Cheap Trick, LA Guns, Ratt, and Bulletboys.Their 1991 sophomore release, the John Jansen produced Dancin' on Coals, failed to outdo or repeat the success of their first album. A music video was shot for the single Untied and True and the album peaked on the Billboard top 200 chart at number 113. The band then released their second live EP Ain't No Jive... Live! in 1992. 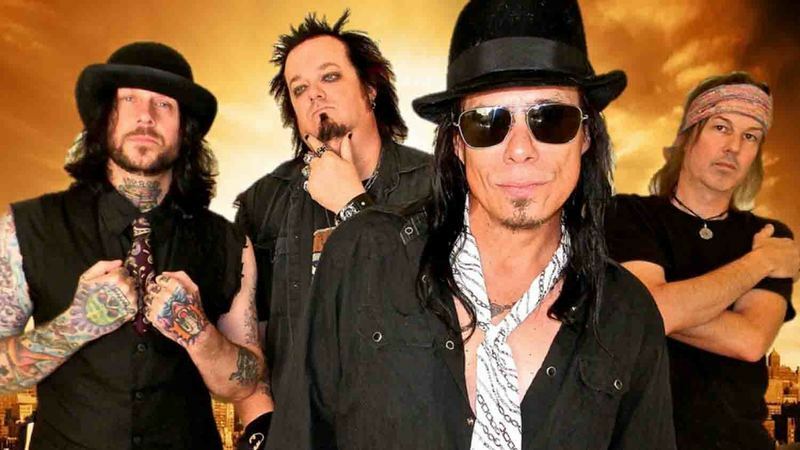 In 1993, after Dancin' On Coals proved to be not the success MCA had hoped for, the band's label still honored Bang Tango's record contract with a third LP. 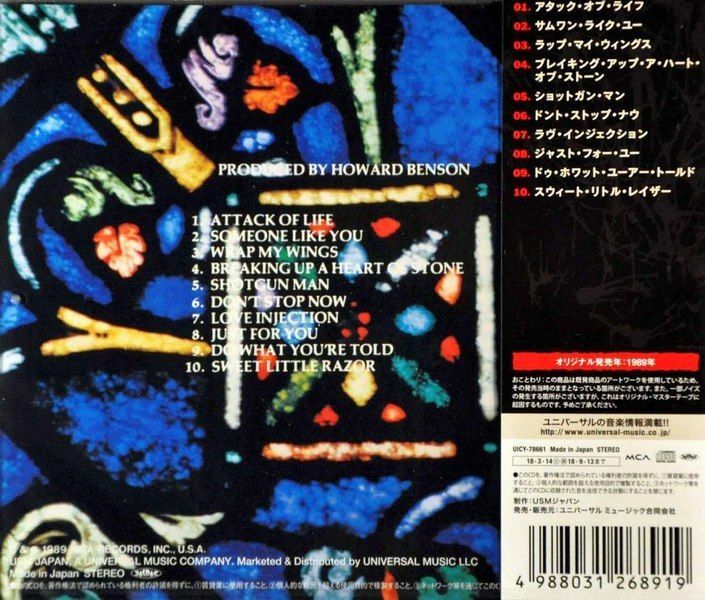 Hoping to recapture the success of their first album, the band decided to re-team with Psycho Cafe' producer Howard Benson for Love After Death. The album ended up being shelved by MCA due to the label feeling a return would not be possible with how much was already invested monetarily for the recording. After recording was complete, guitarist Kyle Stevens made the decision to leave the band. The album would see a release in the UK and Japan through the Music For Nations label. Though to this day the band still perform songs from this album during their live set, Love After Death has yet to see a release in the U.S.The break up of the original line up of Bang Tango occurred in 1995 after returning from a European tour in support of Love After Death.Frontman Joe Leste' and bassist Kyle Kyle would then reform the band in 1996 with a revolving door of musicians.In 1997, Leste', Kyle Kyle and (at the time Bang Tango guitarist) Danny Aon formed the alternative rock band Eating Crow as a side project. Though no recordings were never officially released and only a handful of shows were played, the song So Abused was featured in the Wes Craven film Wishmaster but not released on it's soundtrack. With the band being a side project of then current members of Bang Tango, So Abused was featured heavily in Bang Tango's live set list in the late 90's.In 1998 the band released the live album, simply titled Live.In 1999 the band released Greatest Tricks, which was a compilation of the bands most well known songs re-recorded with Bang Tango's current line up at the time.The Joe Leste' and Kyle Kyle version of the band continued to tour under the Bang Tango name until dissipating 1999.Frontman Joe Leste' would go on to sign a record deal with Warner Bros. and form the hard rock band Beautiful Creatures in 2001. In 2003 Joe Leste' would once again reform the band, this time as it's sole original member, and released the Ready to Go album.In 2005, Leste' recruited bassist Lance Eric, who would prove to be Bang Tango's longest running member aside from Leste' himself and still performs with the band to this day.One reunion show with all original members of Bang Tango occurred in 2006. The whole show can be viewed on YouTube but is mislabeled as being from 2015.2006 saw the release of the From The Hip album and 2011 saw the release of Pistol Whipped in the Bible Belt.In 2010 the original lineup minus frontman Joe Leste' would reform with a different vocalist and perform 2 shows as Bang Tango Redux.In 2014 Bang Tango recruited former Dio guitarist Rowan Robertson.Shortly after completing and screening Attack of Life: The Bang Tango Movie, director Drew Fortier would go on to join Bang Tango as their second guitarist in 2015.Bang Tango has reportedly been working on a new album.Original Bang Tango guitarist Mark Knight went on to form Mark Knight & the Unsung Heroes which features appearances from former Bang Tango bandmates Tigg Ketler and Kyle Stevens.Original Bang Tango bassist Kyle Kyle went on to form Mona Lisa Overdrive. Universal Music Japan has started this year a curious but more than welcomed campaign: the reissue of long time out of print albums from their catalog titled 'HR/HM 1000', that meaning Hard Rock / Heavy Metal at the price of 1000 Yen = about 9 USD.After playing the Californian club circuit where they made a name by themselves with hot live shows - one of them recorded and released by themselves - BANG TANGO were signed by a major and recorded this pretty killer "Psycho Cafe", their official debut album.Whenever a trend is hot, major labels will inevitably jump on the bandwagon and try to milk the trend for all it is worth. Hair Metal was no different; when hair bands and pop-metal were huge in the late '80s, plenty of A&R folks at major labels signed as many Bon Jovi and Poison-like as they could get their hands on.But not every hair band that signed with a major label in the late '80s lacked integrity, and "Psycho Cafe" underscores the fact that Bang Tango made some of the more substantial and worthwhile contributions to L.A. glam metal during that era.Bang Tango's approach on this 1989 release is best described as a combination of Aerosmith, Guns N' Roses and Led Zeppelin mixed with heavy funky rhythms.Alongside classic hard rock riffs and sleazy vocals, "Psycho Cafe" definitely incorporates funk -- and infectious tracks like 'Shotgun Man' and 'Attack of Life' make it clear that Bang Tango was far from an exercise in style over substance.For those who know their history, it really shouldn't come as a big surprise that headbangers who were into Aerosmith and Guns N' Roses were also into R&B; Steven Tyler and Joe Perry certainly never made a secret of their love of soul and funk, and James Brown's "Mother Popcorn" was part of Aerosmith's repertoire back when they were still playing small clubs in the early '70s. "Psycho Cafe" rocks hard, and the hair metal sound of the era is best represented in the album's hit "Someone Like You", a great catchy rocker listed on many magazines, websites, etc among the best song from the era.Sure, the band sound on many songs like Guns N' Roses, but as said, in fact the influence of both is Aerosmith. Just listen to 'Breaking Up A Heart Of Stone' or the acoustic 'Just For You' for the Guns similarity. "Psycho Cafe" wasn't the major hit it deserved to be, but even so, this excellent album demonstrates that not all bands that were part of L.A. glam metal in the late '80s /early '90s played party fluff.This album never was remastered, but this Japanese reissue sound like it was. It blows out of the water Metal Mind Productions release from some years ago. It may be the new digital transfer technique - which augment the signal / Dynamic Range - and "Psycho Cafe" blast out of the speakers.